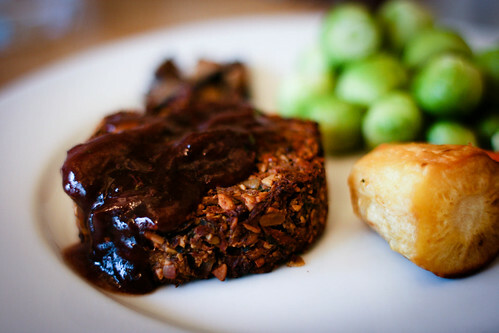 Nut roast: the accidental veggie burger? Last Friday I attempted to make the Christmas Roast recipe posted on Demuth’s Restaurant’s website. I’ve been eyeing the recipe since, well, Christmas, as its list of whole-food, vegan ingredients really appealed to me: nuts, seeds, carrots, parsnips, tofu, mushrooms, plus zesty spices like coriander and cumin. But as I embarked on the recipe, I realized why this dish was delegated to Christmas – the effort involved is epic! The basic premise is this: Make a batter out of veggies, nuts and tofu, and spread it out on a layer of finely sliced strips of zucchini. Then saute a bunch of mushrooms and scatter them in a strip across the middle of the batter, then roll the whole thing up to make a big roll that you bake in foil. I’m not sure where I erred, but the result was a bit more mushy than I would have preferred (the never-ending plight of veg-based loaves, roasts and burgers). I decided to start over and deconstructed the whole thing, forming smaller burger-shaped patties with a small pocket of mushrooms in the middle. I baked this for a good long while and what came out was a completely different dish. Still a little soft but delicious. But the evolution of the roast doesn’t end there. After refrigerating the leftovers overnight, I went back to the burgers again – they evolved even more! This time they were even firmer, with a brilliant texture from all the nuts and seeds, and excellent “bite” from the mushrooms. In fact, the result would make a darn fine burger, not far from the ultimate veggie burger I yearn for. 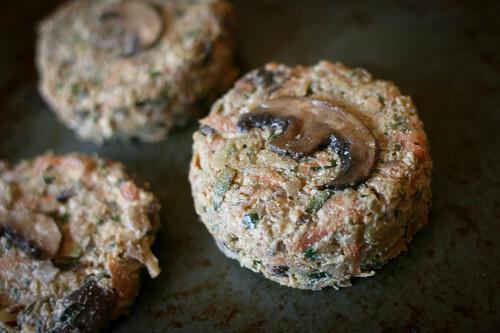 This whole experience reflects a trend I’ve noticed with veggie burgers – the leftovers are almost always better, especially when they’ve been baked for a good long while in the oven. It makes me wonder if I’m simply making my burgers way too moist, hence the mush? This Friday is burger night once again. I think I will take some lessons from this roast experience and make my burgers ahead of time. That is, unless, I opt for having leftover roast for my Friday night burger instead, which wouldn’t be a bad thing at all. Oh, so sad when something that you work very hard on doesn't turn out the way you would like it to. Bravo on the deconstruction and creation of something more desirable, the burgers look amazing. It is my favorite. I have made it many, many times and only had one instance of too wet burgers, but that was because I was trying to use up some beans I had simmered too long. Learned my lesson! Thank you thank you for sending this recipe – it looks fantastic! I think I'm going to make it tomorrow. Dill and tarragon… mmm. Okay, this is it! Well the roast looks like it certainly turned out amazing in the end–and I really love the idea of wrapping it in the zucchini. Agreed. Gotta love veg wrapped in veg. I think the problem was cooking it in foil – got all steaming on the inside and made everything all soft! 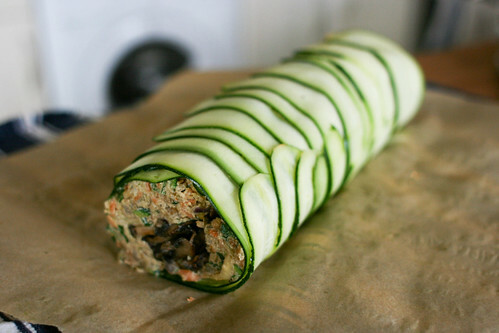 these look great (looked good wrapped in th zucchini too). I suspect you're right about leaving burger mixes to rest. I'm always making them at the last minute and cooking them too soon. 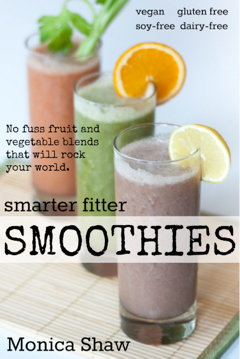 Especially if you've got oats or something in there that takes a while to absorb the moisture. But I also think too moist is better than too dry! Wow, they look great! Very resourceful of you!